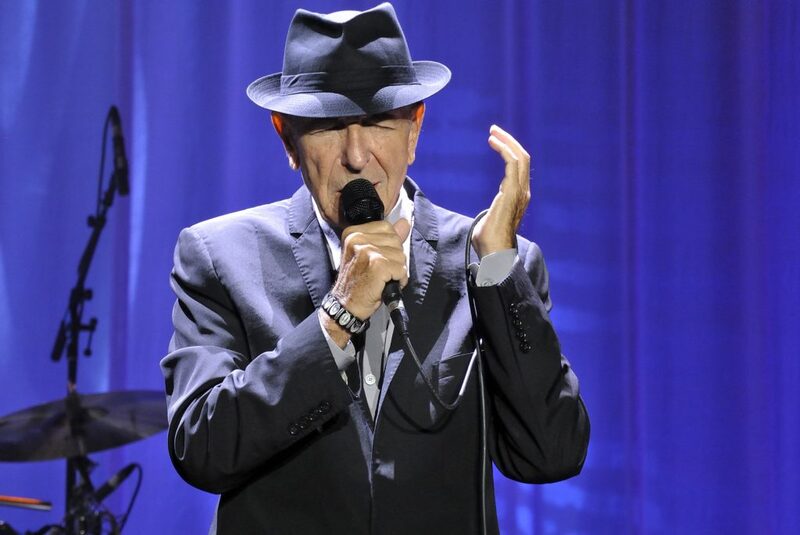 Canadian songwriter and poet/novelist Leonard Cohen waived a physical goodbye at age 82 on November 7, 2016, just after the release of his 14th album, the uncompromising and urgent You Want It Darker. November 7th will be the one year yahrzeit of his death. December 2017 marks the 50th anniversary of the release of his debut LP Songs of Leonard Cohen. In 2008, Cohen was inducted into the Rock and Roll Hall of Fame by Lou Reed. Over the last decade the Rock and Roll Hall of Fame museum has had several Cohen items on exhibit, including handwritten lyrics to “First We Take Manhattan,” “Democracy,” “If It Be Your Will,” the handwritten score to “Hallelujah” and handwritten set list to Cohen’s landmark appearance on Austin City Limits TV series. During 2014, my critically acclaimed book on him, Everybody Knows was published in America, England, Russia, France, Germany, China and two different editions in Canada. It’s now out in paperback in the UK from Omnibus Press. I’ve also been cited and quoted, and my archives utilized in three earlier books on Cohen by authors Ira Nadel, Anthony Reynolds and Sylvie Simmons. I recorded with Leonard in 1976 and ’77 (handclaps and percussion) on his Phil Spector-produced Death of a Ladies Man album. 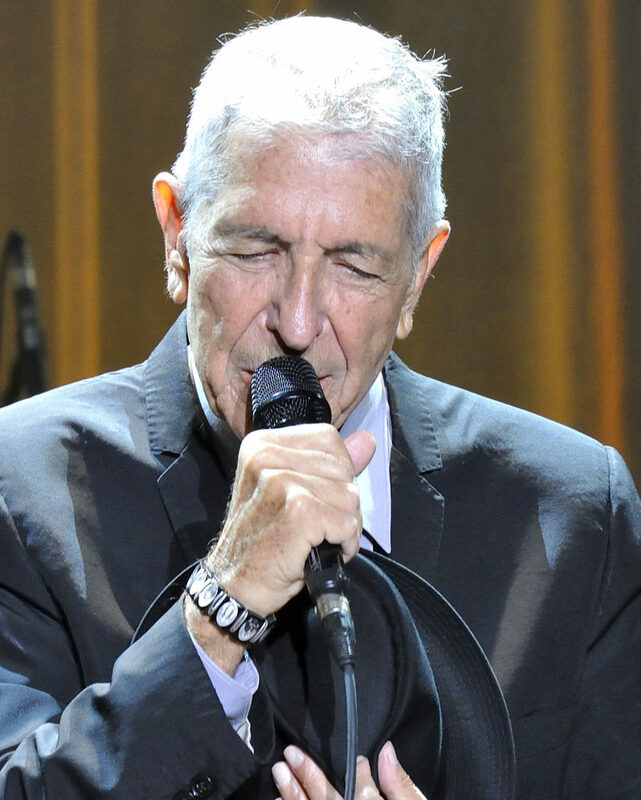 The family of Leonard Cohen will be inviting fans from around the world to join them, along with renowned musicians, the Prime Minister of Canada and the Premier of Quebec in celebrating Cohen’s legacy for Tower of Song: A Memorial Tribute to Leonard Cohen at the Bell Centre in Montreal on November 6, 2017. 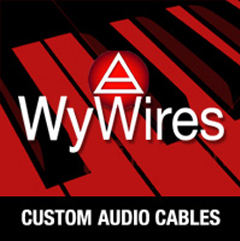 Participating artists include Elvis Costello, Lana Del Rey, Feist, Philip Glass, k.d. lang, The Lumineers’ Wesley Schultz and Jeremiah Fraites, Damien Rice, Sting, Patrick Watson, and Adam Cohen, who is also co-producing the event. Additional artists, as well as actors paying homage through spoken word performances, will be announced soon. On June 10, 2017, a stone bench dedicated to the memory of Leonard was inaugurated on the Greek island of Hydra. On the same day, the Municipality of Hydra named a street after Leonard. 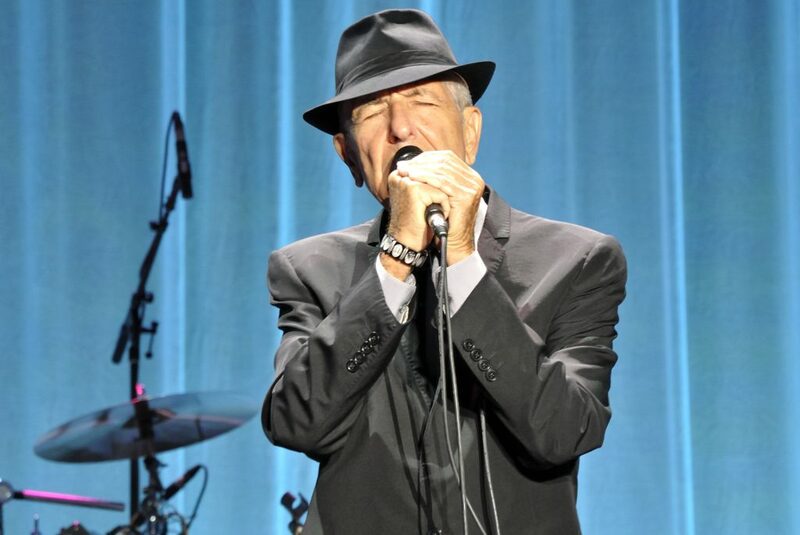 During the summer of 2014, webmasters Jarkko Arjatsalo (Finland) and Marie Mazur (USA) of The Leonard Cohen Forum introduced a fundraising campaign to celebrate Leonard Cohen’s 80th birthday. Donations were received from 366 members from all over the world. 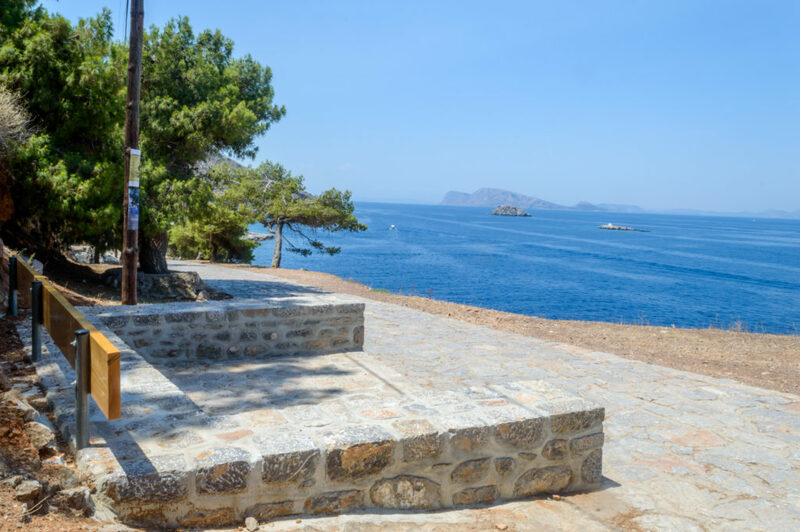 After an online discussion, Forum members decided to create something lasting: a stone bench on the Greek island of Hydra, where Leonard wrote his novels and many poems and songs. The bench was designed by Greek architect George Xydis, following the local traditional style. It took time almost three years to get the final permission from the Historical Office in Athens. The bench was finally built by the Municipality of Hydra in June 2017 and inaugurated during the Forum meet-up on the island. The bench was dedicated to the memory of Leonard. The bench was inaugurated by George Koukoudakis (Mayor of Hydra), Lakis Christidis (Hydra Cinema Club) and Jarkko Arjatsalo (The Leonard Cohen Forum). Cohen had been aware of the project since September 21, 2014. His touching reply at that time was read by Jarkko Arjatsalo during the bench inauguration. On June 10, 2017, a stone bench dedicated to Cohen’s memory was erected on the Greek island of Hydra. The island also named a street after the singer. I read every name. I bow my head in gratitude. Thank you for the countless times you have lifted my spirit. Thank you for the comfort and the encouragement. 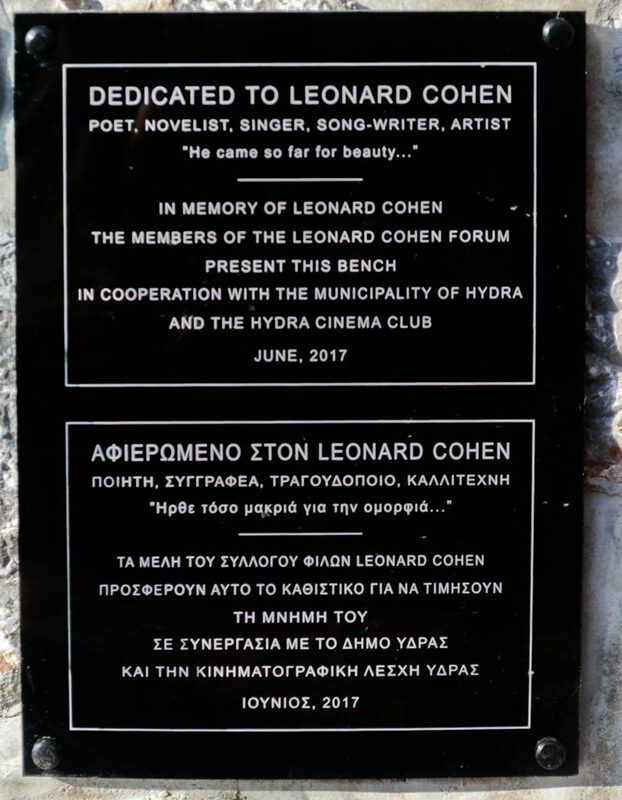 The bench was built through the united efforts of the Municipality (the legal owner of the bench), The Leonard Cohen Forum (fundraising) and The Cinema Club of Hydra (coordinator). The bench is located on the road from Hydra City to Kamini. The remaining money collected during the fundraising campaign will be donated to charity and social projects on Hydra. In August I was the guest speaker at the Stephen Wise Temple in Bel-Air, California celebrating the 50th anniversary of the Summer of Love. The Shabbat service was followed by a concert featuring music from 1967 performed by the Stephen Wise clergy and musicians, including vocalists Freda “Band of Gold” Payne and Florence LaRue of the wonderful 5th Dimension. I helped narrate the stage program culled from my 1967 book. After the event, I must have answered a dozen questions about my Cohen book. My own 50-year relationship to Leonard’s words and music flashed in front of me. By 2017, 2,600 covers of the song have been recorded of Leonard’s tune, including Noel Harrison, Jack Jones, the Sandpipers, Nina Simone, Roberta Flack, Neil Diamond, Spanky & Our Gang, Harry Belafonte, Joan Baez, Gary McFarland, Aretha Franklin, Tangerine Dream, Francoise Hardy, Diane Reeves, Peter Gabriel, Pearls Before Swine, and Nana Mouskouri. In December 1974, a Columbia Records publicist arranged an interview with Leonard and I at the Continental Hyatt House in Hollywood. Cohen was in the midst of a multi-night engagement at Doug Weston’s Troubadour in West Hollywood. One evening I was there with Justin Pierce and Sharon Weiss, later to become Leonard’s publicist during 1988-1993. Bob Dylan and Phil Spector sat at a table next to us. The following afternoon I conducted my first interview with Leonard for Melody Maker. “In the early days, I was trained as a poet by reading in English, poets like Lorca and Brecht, and by the invigorating exchange between other writers in Montreal at the time. 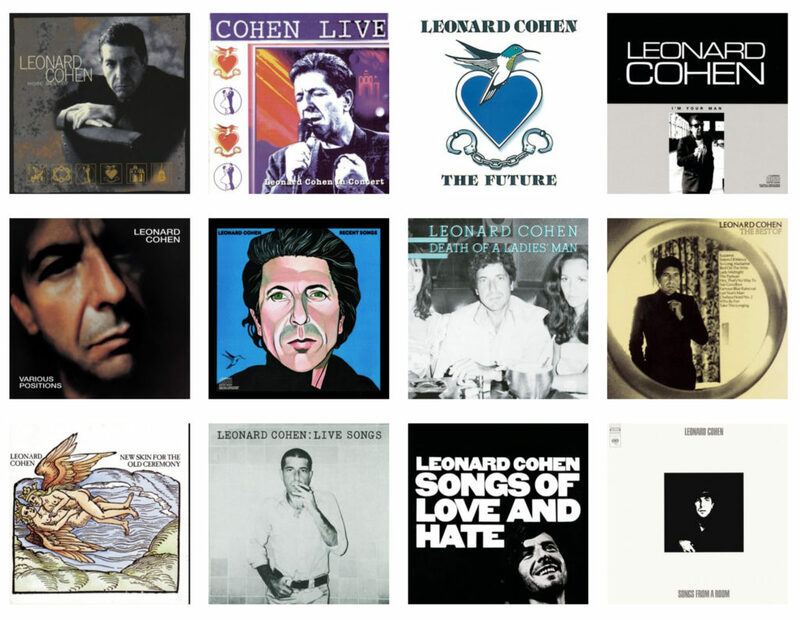 Over the past few decades I queried several associates, friends, deejays, professors, writers, poets, authors and musicians about the work and ongoing artistic impact of Leonard Cohen. Larry LeBlanc: For 50 years, over 14 albums, 9 volumes of poetry, and two novels, Leonard Cohen — poet, novelist, troubadour, songwriter, spiritual tourist, social provocateur, and ladies’ man —has shared his romantic vision. “It’s been good honest work. “A major writer of the English language, Leonard — inducted into the Juno Hall of Fame in 1991— gives importance and dignity to songwriting. His songs are discussed, analyzed, agonized over and made love to the world over. “Leonard started playing guitar at summer camp in 1950. He wasn’t attracted to the instrument so much as for a musical reason. He used it as a courting tool. But he also thought one day he’d become a singer, however. He used to stand and sing in front of the mirror to see how he looked. “At McGill University, he began writing poetry, and formed the country and western trio, the Buckskin Boys. He also worked in a nightclub above Dunn’s deli called Birdland. He’d read poems or improvise them while Maury Kaye and his bebop group played. “After he dropped out of a Master’s program at Columbia University in New York Leonard obtained a grant, and was able to travel through Europe. He eventually settled on Hydra, staying on and off for seven years. He wrote two more collections of poetry, Flowers For Hitler (1964) and Parasites of Heaven (1966) there; and the novels, The Favorite Game (1963), and Beautiful Losers (1966). “As he finished Beautiful Losers, he realized he was full of music (if only because he’d written the book to the accompaniment of the American Armed Forces radio service). He decided to go to Nashville, and become a country songwriter. On his way there, he met Toronto-born manager Mary Martin who persuaded him to stay in New York. “In 1967, Leonard played 15-20 concerts, including the Newport Folk Festival where he stole the audience cheers from established stars with the Mariposa Folk Festival in Toronto; and two concerts with Judy Collins who recorded ‘Suzanne’ and ‘Dress Rehearsal Rag’ on her 1966 album, In My Life. Andrew Loog Oldham: Leonard wrote songs because he had to, and because he wanted to get laid. Later he wrote songs because he wanted to get paid. That’s when I decided he had something to say. “Remember, he did not make this LP until he was 33 years old. Like Howlin’ Wolf, who first recorded at age 41, Leonard Cohen was not an adult offering supervision, but an adult giving us permission. I first heard Cohen on KPPC-FM in Southern California. “In 2016, those of us lucky enough to have seen Cohen in concert became even luckier, but sadder, as lucky people often are. It was a dark year, filled with farewells. Leonard Cohen’s exit was neither the most shocking nor the most painful. His body was old and full of days. His songs had long been varying the theme of Farewell, and in his last tours, every concert felt like a valediction. But in 2017, his absence (for me, anyway) has become an empty space as large as the ones Bowie or Prince left behind. You Want It Darker, which illuminates that empty space, is actually much in the same spirit of Bowie’s Blackstar: a sublime farewell, but from a different tradition. Only Cohen could fuse an authentic Jewish melancholy with the elaborate merriment of European art-song and the ghost-whisper cleanliness of digital synthesizers. “There is really not that many artists like him that is out there making music or touring. 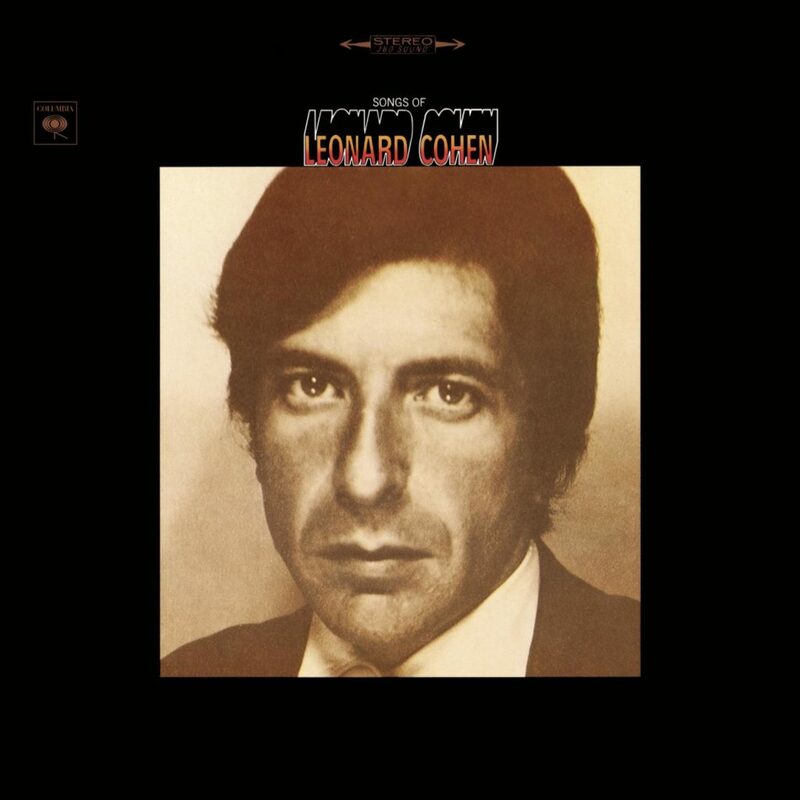 Cohen’s first album, Songs of Leonard Cohen. 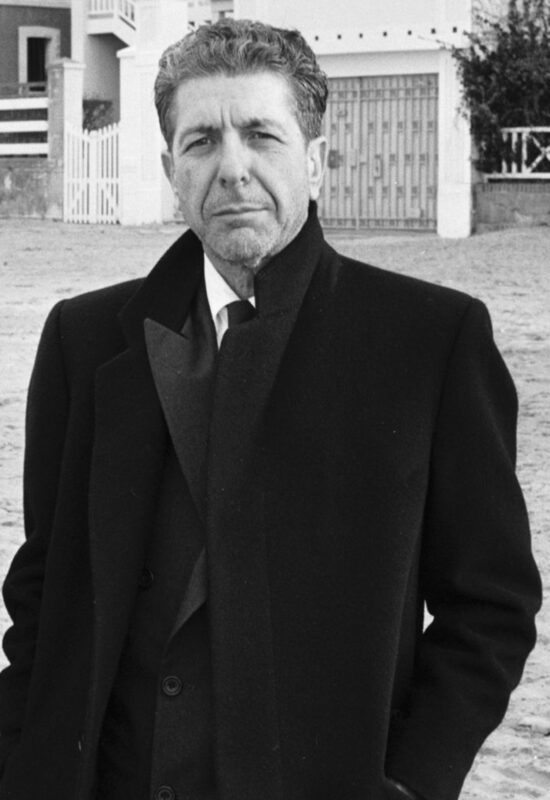 Leonard Cohen has never been a stranger to music. As early as 1954, he was playing country music at square dances in a group called the Buckskin Boys. In 1966 Cohen relocated to the U.S. and a return to songwriting, after penning two novels, including the maligned and praised Beautiful Losers, and four books of poetry. He was also introduced by his manager to legendary Columbia Records A&R man, John Hammond. 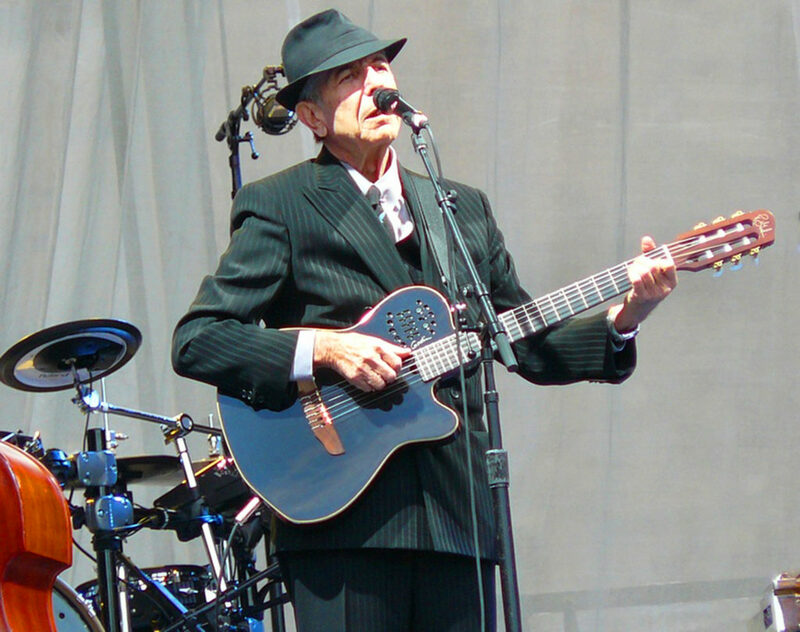 Like Billie Holiday, Count Basie, Aretha Franklin and Bob Dylan before him, Leonard Cohen was about to join Hammond at Columbia Records, who subsequently received the approval from new label head Clive Davis to sign Cohen to a recording agreement. John Simon: John Hammond, (also a class act), would schedule a session then cancel and reschedule a month late — which drove Leonard crazy, staying at the Chelsea Hotel. So they assigned him to me. We went to my folks’ house in Connecticut (they were away), to go over material. Leonard stayed up all night going through my dad’s library. I slept. He didn’t. He was a man, while the other rock acts I worked with were boys. He was an established poet. Real bright and clever with words. And he had that finger-picking triplet style that was very impressive. Sort of a classical technique. “I’m proud of the experimentation I did use wordless women’s voices instead of instruments, mostly Nancy Priddy, my girlfriend at the time. About the chorus in ‘So Long, Marianne,’ I guess it was the logical step to try adding words after we’d done the wordless thing. I’m an arranger not an engineer. On October 27th, near the end of his recording sessions, Leonard Cohen headed over to Steve Paul’s The Scene at 301 W. 46th Street in New York to monitor Nico who was headlining, promoting her new album, Chelsea Girls. Opening was the West Coast-based, Kaleidoscope, making their New York debut. Chris Darrow: The host for the club was Tiny Tim, who announced all the acts and would play a song or two as well. We were opening for Nico, who I had met in LA, and she was playing as a solo act…. just her and a Hammond B3 organ. “The Opening night was very crowded and Frank Zappa and members of the Mothers of Invention showed up to show their support. “That night, Leonard Cohen came up to me in the bar light. He was the palest guy I had ever seen he almost seemed to glow. He was wearing a black leather suit coat and carrying a black leather briefcase. Leonard loved our band and was wondering if we would be interested in playing on his forthcoming album. I didn’t know who he was at the time and told him to talk with our managers who were at the bar. “Cohen gave us the impression that he was having trouble finding the right sounds for a few of his compositions. He seemed happy when we were able to come up with some solutions to his musical needs. “The producer Bob Johnston was there. I ended up playing my rare, 1950’s Premier Bass and my 1921, Gibson F-4 mandolin on ‘So Long, Marianne’ and bass on ‘Teachers.’ The slow build of ‘So Long, Marianne’ is one of the secrets of its success and, at 5:39 seconds long, it has a hypnotic, repetitive groove that sustains itself through the entire song. The twin, acoustic guitars, playing two separate time signatures, creates a smooth bed for the lyrics to lie on. The mandolin part comes in at just over 3 minutes and knocks the song up a notch and adds a different tonality that is not expected. The memorable chorus gets slightly more powerful each time it repeats and brings the song all together at the climax. “‘Teachers’ is a darker, minor key song, that uses one of Solomon’s middle eastern instruments, the Caz, and Chester and David’s twin fiddles, to give it a very exotic, international flavor. Once again, the there is a rather insistent rhythmic feel to the song, which counters perfectly with the ethnic sounds. From mid-May to through November in 1967, Cohen had done 25 tunes with Hammond and John Simon and some sessions with Bob Johnston in three Columbia studio rooms. “We recorded some numbers, and then his wife got sick and he became ill. Then I switched producers to John Simon, whom John Hammond suggested. Songs of Leonard Cohen shipped to the record racks and bins the last week of 1967. “Suzanne” quickly garnered radio airplay. It soon became a staple on the FM dial and always remained in Cohen’s stage repertoire. Peter Lewis: I first got turned on to Leonard Cohen in New York. It must have been ’68 or ’69 when my marriage was falling apart. We [Moby Grape] were playing the Fillmore East or Village Theatre. When the set was over I remember meeting Linda Eastman backstage. She was there with her camera to take pictures of the band. “I think she saw how downright lonely I was. She was one of those rare creatures you meet sometimes in life who just “knows” what to do and took pity on me. 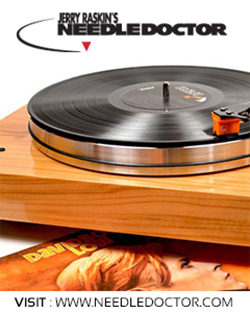 When we got to her apartment that night she went to her turntable and put on Leonard’s first record. Of course ‘Suzanne,’ ‘That’s No Way to Say Goodbye’ etc. came to me like the soundtrack of my life at the time. 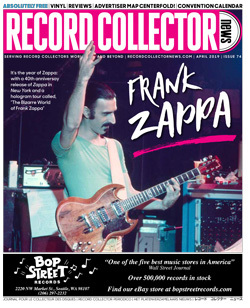 “Later, Bob Johnston produced our last album for Columbia Truly Fine Citizen, in Nashville. When the record was finished he asked me if I wanted to stay after the others went home. He said he liked my voice and wanted to introduce me to Johnny Cash, Bob Dylan, and Leonard Cohen. “Why did I go home with the others and not take my shot at the time? It may have been some crazy idea that Many Grape wasn’t finished yet. Marina Muhlfriedel: Although I had heard the album before, this is my first true contemplation of the Songs of Leonard Cohen. I am alone, sprawled on the floor of the library in my parents’ home in West Los Angeles. A sketchbook of drawings and poems I nearly always have on hand is beside me. I close my eyes as the songs play again and again and I sink into a world of street-weary strangers and seducers, of shadowy alleyways and perfumed boudoirs that double as sacred shrines. I mull them like secrets. In my own small way, I vow to always pray for the angels and to someday offer Chinese tea and oranges to a melancholy lover. And I sense that melancholy, angels, love, loss and passion are but intersecting creases on Leonard Cohen’s palm as he moves through a world that’s unfathomably bigger and more interesting than my own. Elliott Lefko: I promoted all of Leonard’s North American shows during 2008-2013. As a Canadian it was great to see America and learn about the different theatres across the country and get a feel for future tours by like-minded artists. “One of my favorite writers is Thomas Wolfe. When it came time to choose which cities for Leonard to play, a friend suggested Asheville North Carolina. The theatre there was the Thomas Wolfe Theatre. Additional multi-instrumentalists, wordsmiths and producers also gifted me with their vivid memories of Cohen. Sarah Kramer: It always felt like Leonard knew what he was giving. Like it came from a higher place and wasn’t just in the moment, but for future moments within and beyond his lifetime. As if everything was a conscious gesture but with it, a deep connection or understanding, even within the joys and his wonderful sense of humor. Simple though, light not heavy. “I recorded the trumpet part on Leonard’s Dear Heather in his home studio out back. Leanne Ungar was the producer (and engineer). I admired her work on Laurie Anderson’s ‘O Superman’ as a kid, so it was exciting to get to work with her also. She was so warm and comfortable to work with, as was Leonard, and it was special for me that they dug my sound. I remember her saying it sounded so happy. I don’t think I could’ve been any happier than recording with Leonard Cohen (but I knew what she meant)! He had already worked out a part on his keyboard that he wanted me to play, and I was really tucked in there in the mix, so it’s not like there’s anything super impressive in what I played, but still, I continue to feel honored in having been a part of that. “I had recorded on another track of his a couple years later called ‘Keep It On The Level,’ with Ed Sanders engineering, but that version was never released. I still have the demo he gave me to work with of just him and his keyboard. Very raw. It’s special to get that little window into his process. It had a New Orleans feel to it when I tracked on it. That song ended up on his latest album, You Want It Darker, as ‘On The Level.’ He totally reworked the song both musically and lyrically. His son Adam produced the album and it sounds beautiful. I especially love the sound of the synagogue choir in the mix of things. me to believe in myself. “Los Angeles is a tough town in many ways, and he made me feel less alone, even from a distance, as if he was always there. I’m forever grateful for that, for his friendship and kindness. I still feel him here. That’s the thing about living with integrity and treating everyone as if they matter, you give such an enormous gift, and he did that with everyone… those that knew him personally, as well as anyone who listens to his music or reads his writings. I think he was aware of this, and that we’re all in this together. is being put-on. This is Cohen? a song, an astonishing real-time self-disavowal! “Even more than Cohen’s other gems, this track, originally recorded by Jennifer Warnes, has proven to be a great lyrical Rorshach test. The internet has plenty of interpretations that range from the bizarre to the brilliant. One talk backer described the song as ‘globalization from the point of view of someone from the underdeveloped part of the world.’ Others grasp at similar but disparate puzzle pieces: it’s about mega-corporations, about hyper-capitalism, about foreign policy, expansionism, terrorism, about the blurring and unraveling of national identities, it’s about the West German Red Army, it’s about radical chic. Chris Darrow: I hadn’t seen Leonard Cohen since the 1967 The Songs of Leonard Cohen recording sessions 35 years earlier. In 2002 he had been cloistered at the Mt. Baldy Zen Center in Southern California, near my hometown of Claremont, so I knew he was hanging around my area. “One day my father, Paul Darrow, was having an art opening in downtown Claremont, and I heard that Cohen was spotted sitting outside at a local Greek restaurant called Yiannis. I strolled over to where he and his female companion were drinking coffee and smoking at an outdoor table. His head was shaved and he was wearing a robe of a Buddhist monk. Cohen then continued his audio expedition. 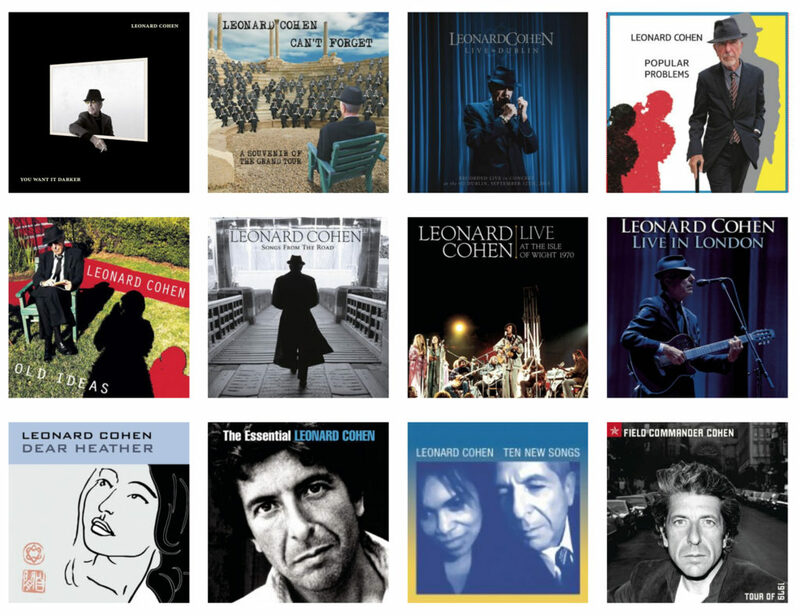 Newcomers to his catalog might want to check out The Essential Leonard Cohen. I am grateful for two websites that have provided sanctioned and official information on the life, influence, activities and products involving Leonard Cohen. Jarkko Arjatsalo in Finland oversees www.leonardcohenfiles.com and www.leonardcohenforum.com. Courtesy credits: Photo of bench and plaque by Panagiotis Macromanolis.